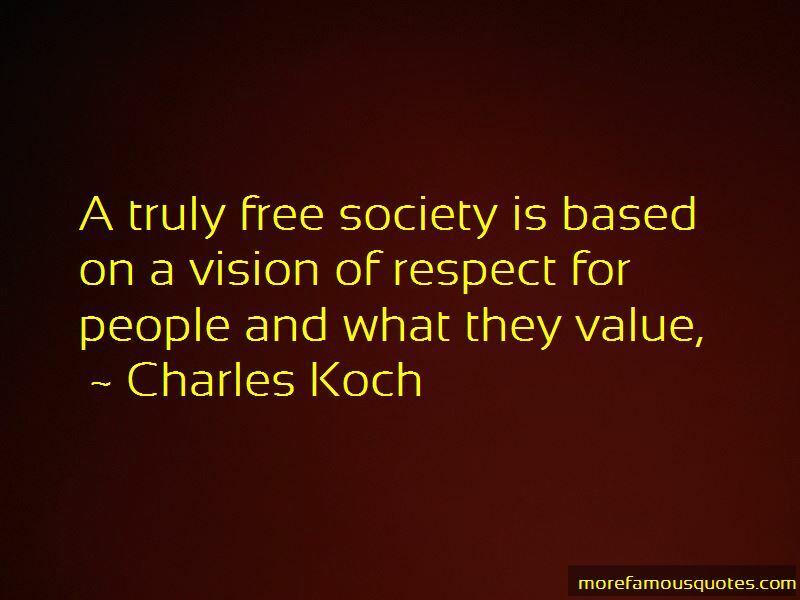 Enjoy the top 86 famous quotes, sayings and quotations by Charles Koch. It's not going to help the country to be subsidizing uneconomical forms of energy - whether you call them 'green,' 'renewable' or whatever. In that case, the cure is worse than the disease. 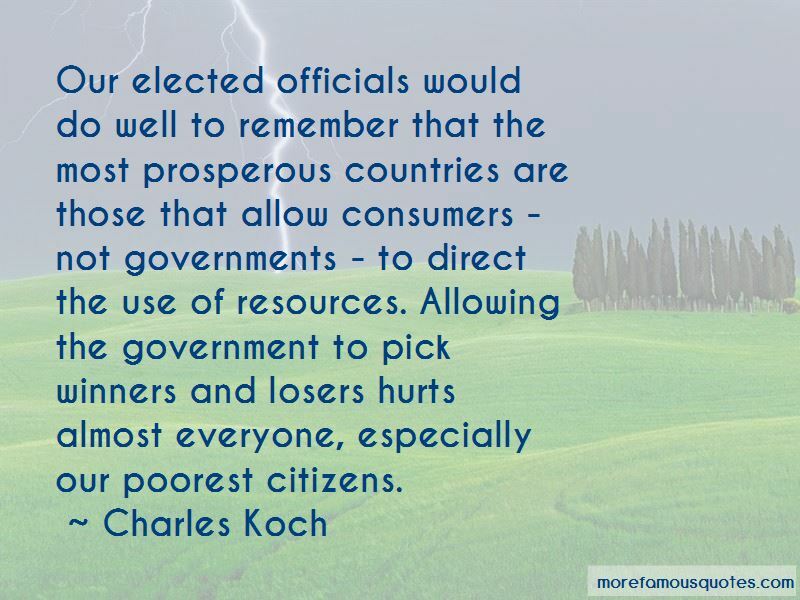 The country - or the government - is headed for bankruptcy. So we're going to be continuing to speak out against corporate welfare as something that hurts everybody except those direct beneficiaries. Successful companies create value by providing products or services their customers value more highly than available alternatives. They do this while consuming fewer resources, leaving more resources available to satisfy other needs in society. Value creation involves making people's lives better. It is contributing to prosperity in society. Most power is power to coerce somebody. We don't have the power to coerce anybody. Do you want to have your feelings hurt a little bit because you have some negative feedback, or do you want to continue down the disastrous track you're on and have a huge disaster? Talk about a bruised ego. It may ruin your career. Hubris, arrogance, is just one step ahead of loss of integrity, because if you think you're better than other people, you know more, then you're going to think, as many leaders have, that the rules don't apply to them - so they lose their integrity. My father wanted to instill the work ethic. And, because he knew if you don't learn to work to be more productive to improve your efficiency, to cooperate with other people at an early age, you may never learn those habits. 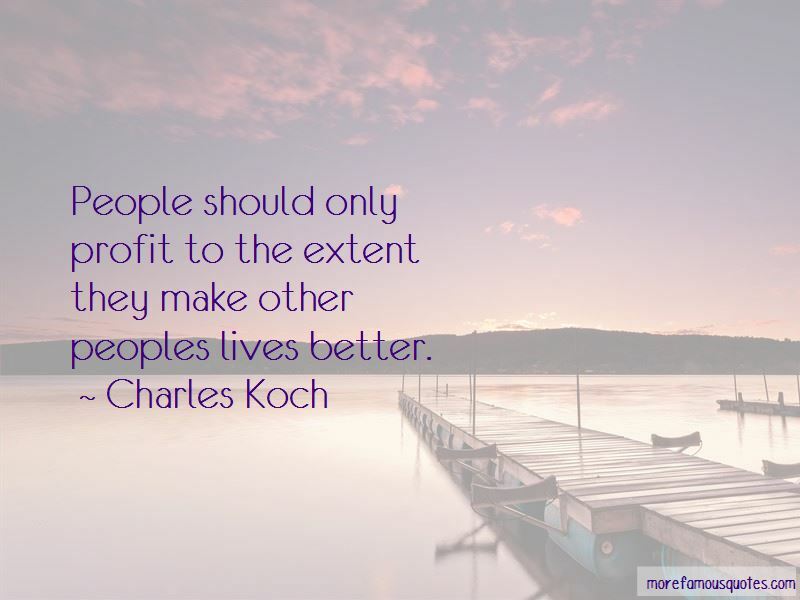 Want to see more pictures of Charles Koch quotes? 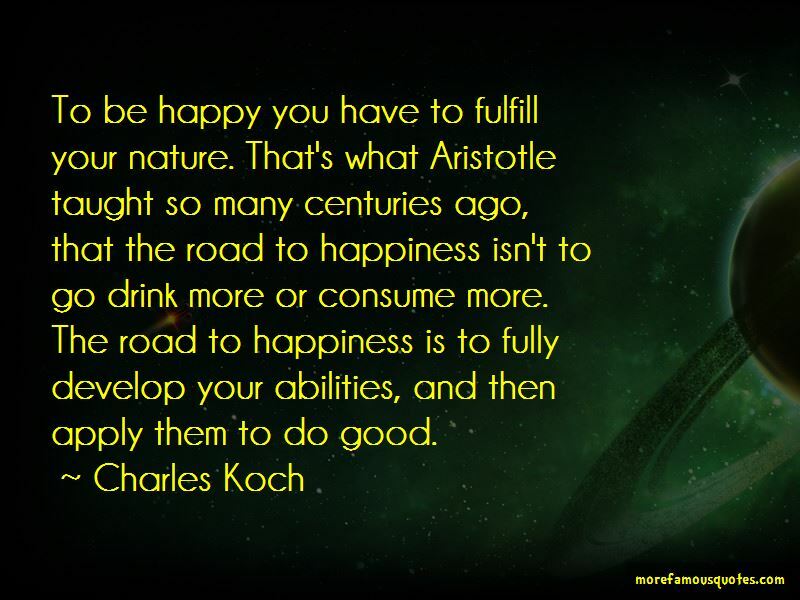 Click on image of Charles Koch quotes to view full size.